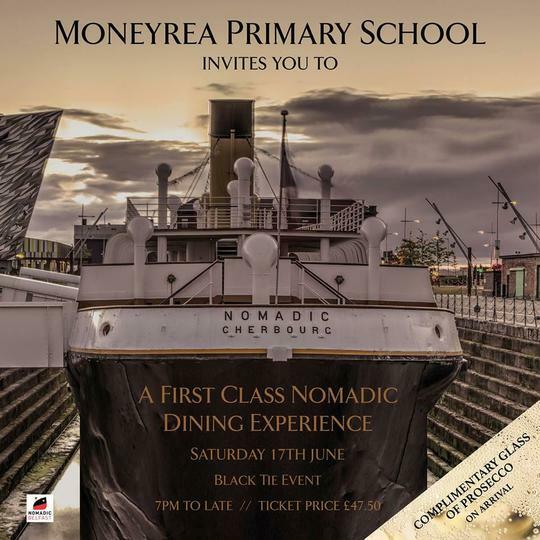 Join us on Saturday 17th June, for a truly amazing ‘Night to Remember’ on board the White Star Line’s last remaining ship, SS Nomadic. This is a unique opportunity to reach out and touch part of Northern Ireland’s great Titanic story, while enjoying the 5-star treatment of 1st class passengers. The evening promises an amazing setting, fantastic food, live music and dancing ‘til late. Come as singles, pairs, foursomes, or complete tables (of 6, 8 or 10). Tickets are £47.50 and include a welcome drink, 4-course meal and your evening’s entertainment. So put the 17th in your diary, book the babysitter, and reserve you place on board the SS Nomadic. The craic will be mighty!